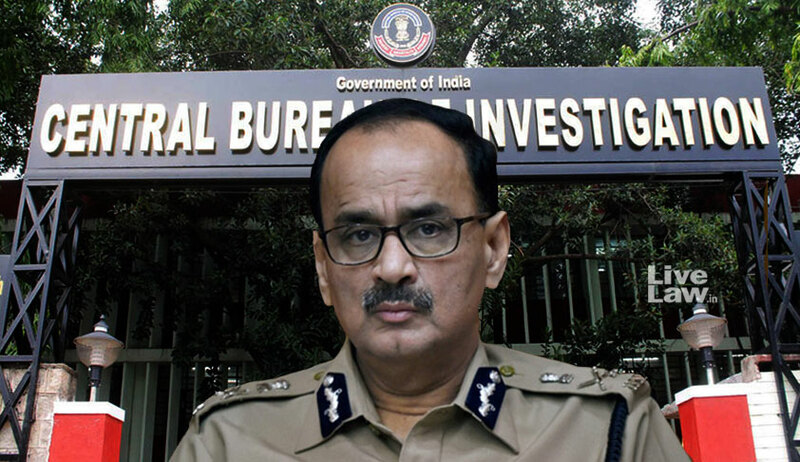 The Supreme Court bench of Chief Justice Ranjan Gogoi and Justice S. K. Kaul and K. M. Joseph on Friday called for the response on behalf of CBI Director Alok Kumar Verma to the report submitted by the CVC of its findings against him. “Having perused the report, we are of the view that at this stage and before taking any decision, a copy of the report be given to the counsel for the petitioner, Mr. Alok Verma. It will be open for the petitioner to file a response to the report, again in a sealed cover. The aforesaid action has been considered necessary by the court to preserve the sanctity of the CVC and public confidence in the institution”, ordered the Court. Senior Advocate Fali S. Nariman, appearing for Verma, has been required to file the response by 1 PM on Monday. The matter will be heard on next Tuesday. A copy of the report has also been directed to be served in sealed cover to the office of the Attorney General and the Solicitor General. “Needless to say, the report will be treated by utmost confidentiality”, ordered the court, adding, however, that at this stage, it is not inclined to call upon either the Union of India or any other party to submit response. In so far as the court had called for a list of the decisions taken by CBI Acting Director, Mr. Nageshwar Rao between October 23 and 26, the bench recorded that it has considered the details of the decisions and that it will be open to any party to supplement the list. It may be recalled that on October 26, the Court had acted on the petition filed by Alok Verma challenging the order of Central Government which divested him of the powers of CBI Director on the basis of a CVC complaint initiated by CBI Special Director Rakesh Asthana. On that day, the Court directed CVC to complete probe under the supervision of Justice A K Patnaik. The Court also restrained the interim Director Nagheswara Rao from taking any major decisions. “We will respond as early as possible”, asserted Mr. Nariman. “We are having a difficulty as the decisions are not publicly available. Could Your Lordships Please ask for these actions to also be placed before the court?”, pleader Mr. Dave. “Why should we further supplement the order unless you show us some gravity? Are you in a position to furnish to us the further decisions of the Acting Director? If yes, we will keep it open or else, we shall close the matter and decide based on the existing information”, remarked Chief Justice Gogoi. Stating that he shall try to produce the details of the decisions taken by Mr. Rao post October 26, Mr. Dave requested for the issue to be kept open. Solicitor General Tushar Mehta also advanced that even though he appears for the CVC, he has not perused as a lawyer the report submitted to the court by the agency. “You are the CVC. You are the author of the report. We are finding it difficult to distinguish....”, commented the Chief Justice in a lighter vein. “The CVC said that the report be furnished only to the court. Please allow me to have a copy”, replied the SG. Further, Attorney General K. K. Venugopal submitted that “the government of India has also taken action to have this inquiry”. Accordingly, a copy of the report was directed to be served on both the SG and the AG, without calling for a reply from either of the officers. Mr. Mehta had also endeavoured to point out to the bench that under the scheme of the CVC Act, the report of the findings is not to be shared with the person who is the subject of the inquiry if further investigation is needed. “Who are you?”, asked the Chief Justice. When he was informed that Asthana was the original complainant to the Cabinet Secretary against Verma, Chief Justice Gogoi inquired under what authority had Asthana filed the complaint. “I am entitled to file the complaint”, replied Mr. Rohatgi. Declining to furnish the copy of the CVC report to him, the Chief Justice observed that if and when any order is passed on it, Mr. Rohatgi will be allowed to respond. On Friday, Senior Counsel Rajiv Dhawan drew the attention of the bench to the plea on behalf of CBI DSP A. K. Bassi who was investigating the case against Asthana and who has been unceremoniously transferred to Port Blair by the Acting Director. Dr. Dhawan advanced that they are concerned with the nexus between the current investigating officer and Asthana. The bench agreed to hear it on the next date. Senior Advocate and MP Kapil Sibal appeared for Congress leader Mallikarjun Kharge who had questioned the Centre's decision sending Verma on leave, which plea will also be taken up on Tuesday. “So you are the leader of the single largest party in the Opposition?”, remarked the Chief Justice on a humorous note.